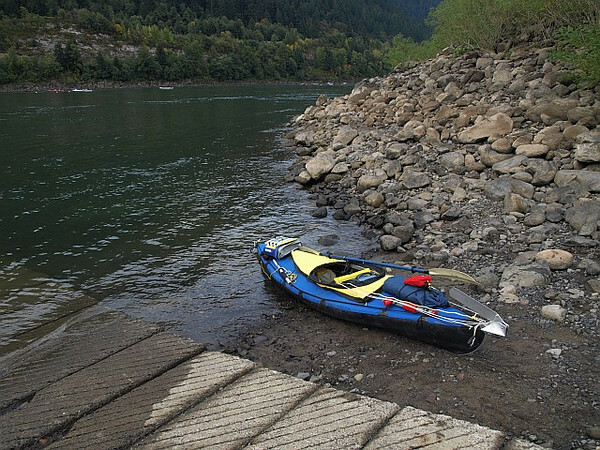 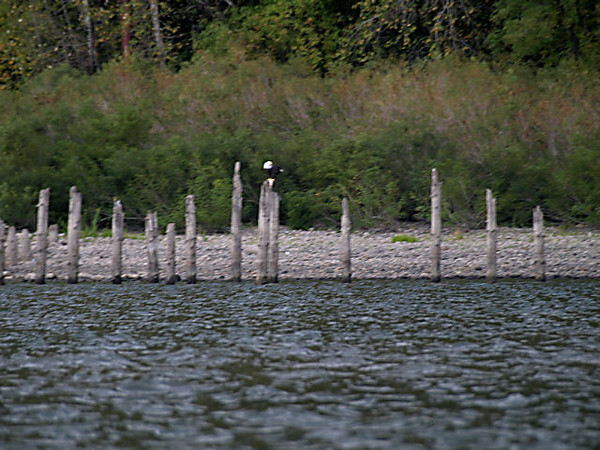 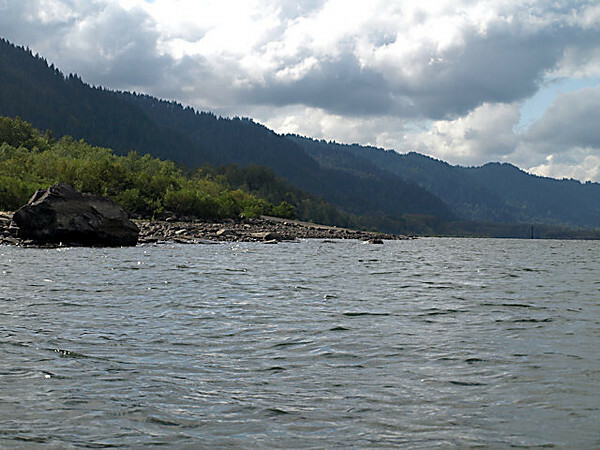 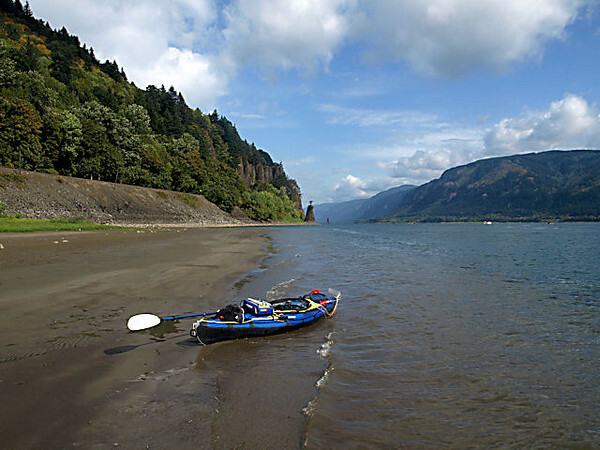 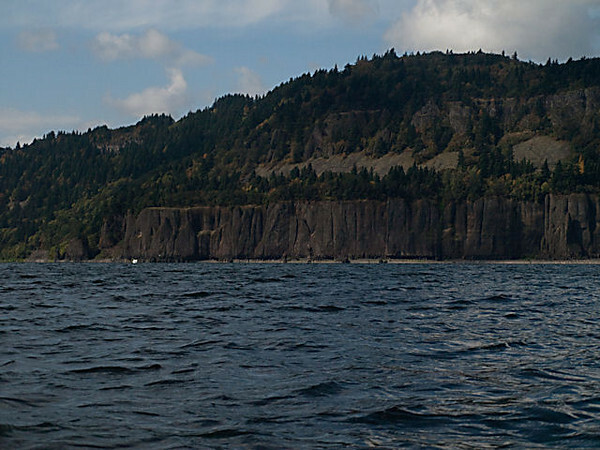 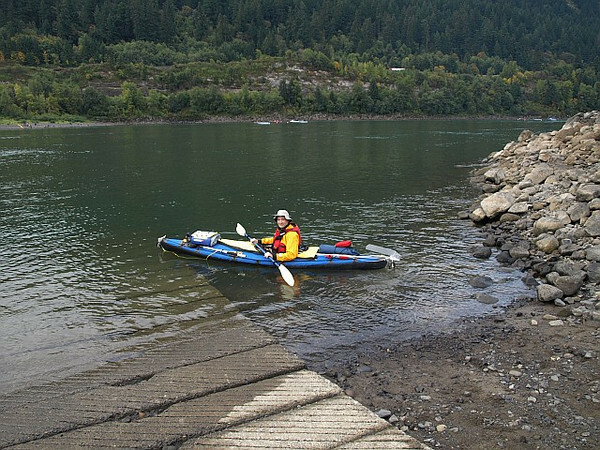 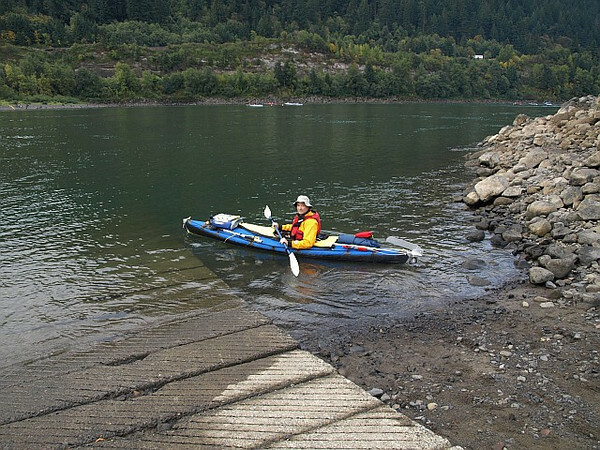 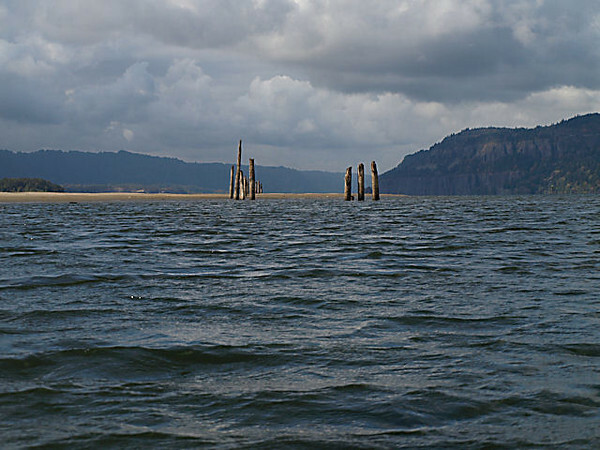 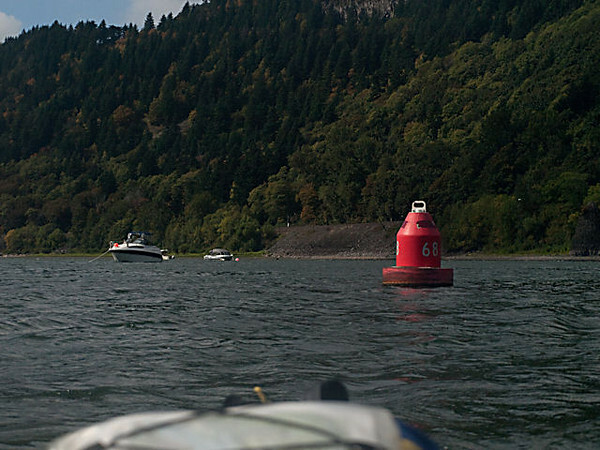 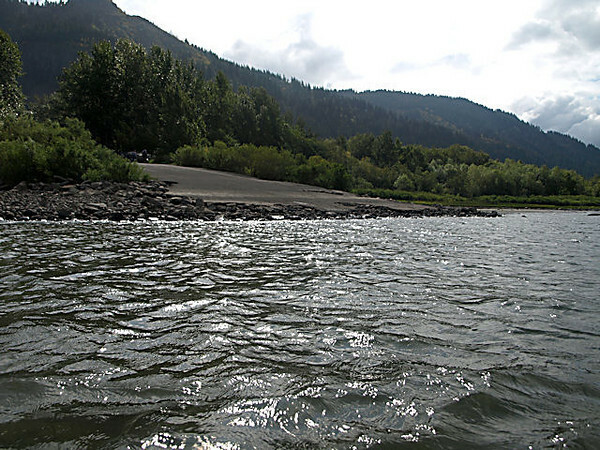 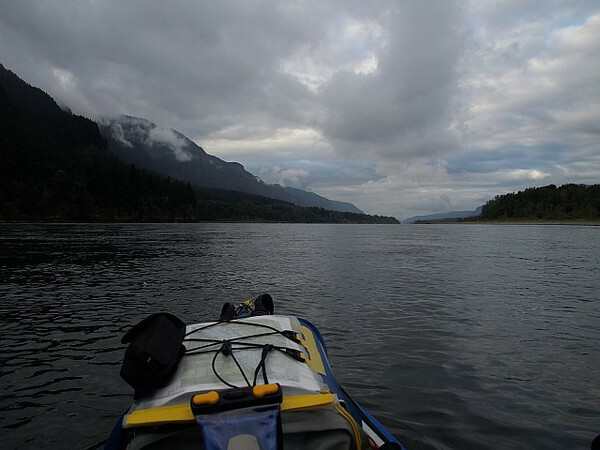 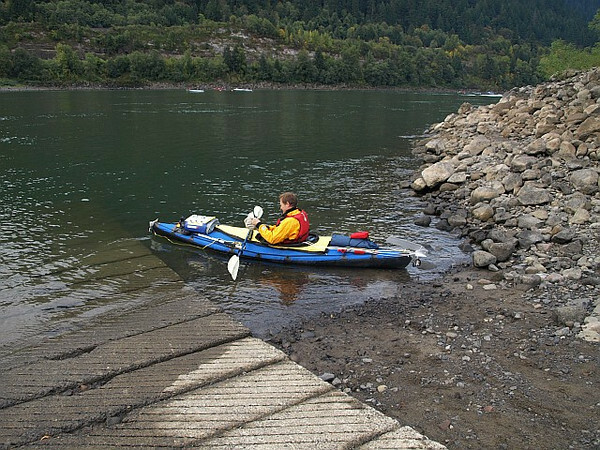 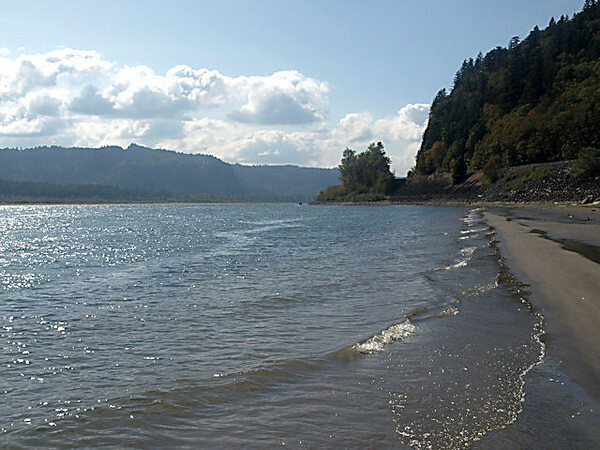 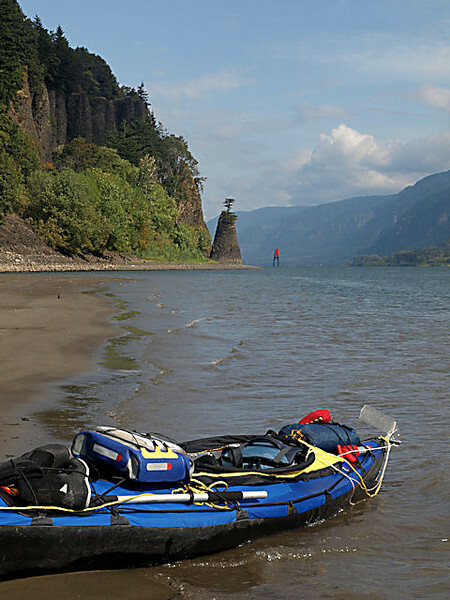 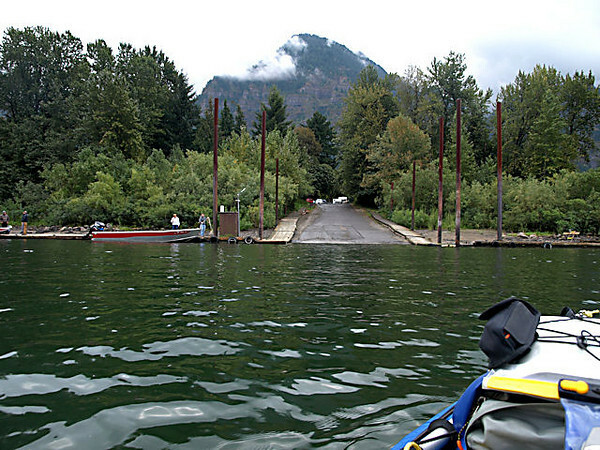 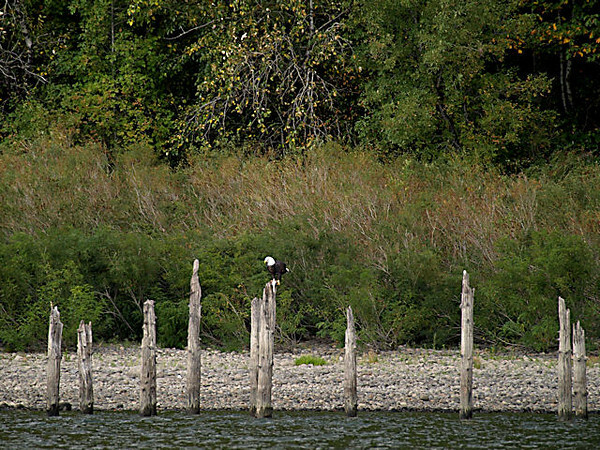 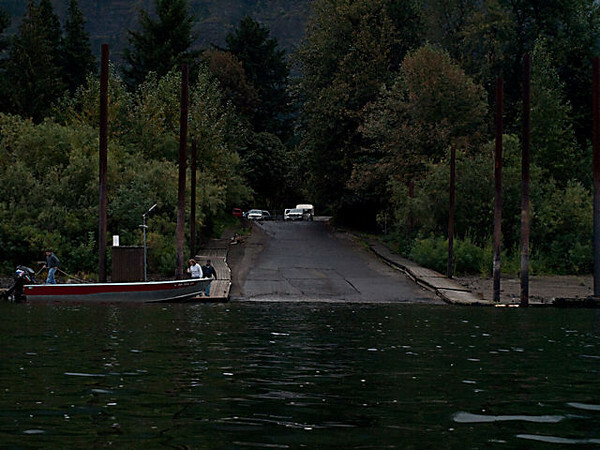 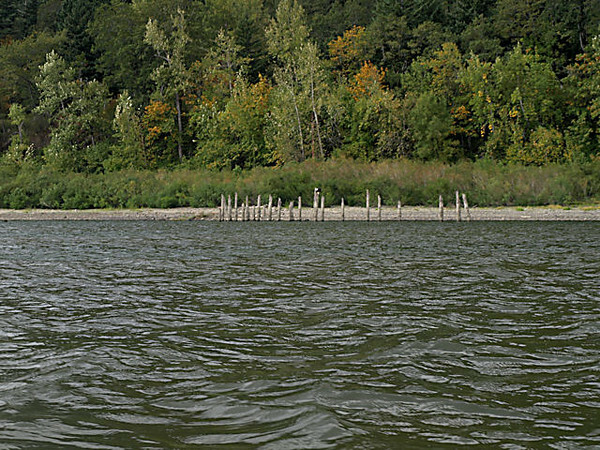 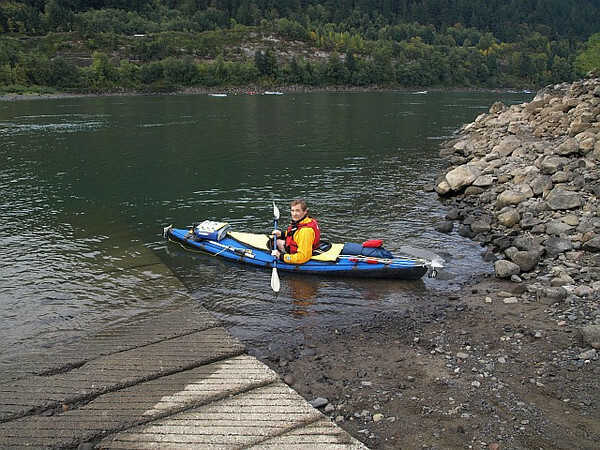 Photos taken on day 1 of my 6 day trip from the Hamilton Island boat ramp just below Bonneville Dam to the John Day Boat ramp just east of Astoria, Oregon. 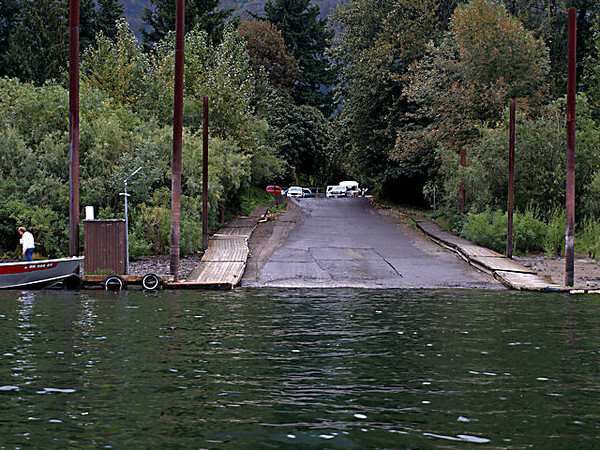 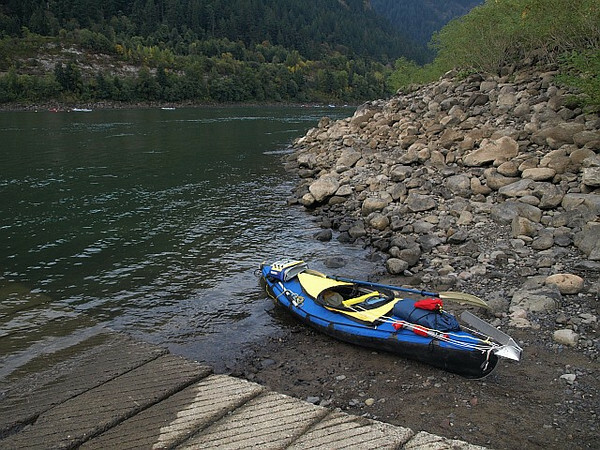 My Folbot Yukon at the Hamilton Island boat ramp just before departing on my 6 day trip down the Columbia River to Astoria. 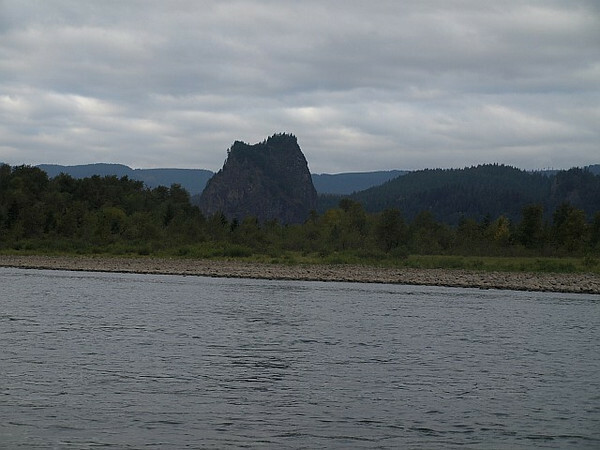 Finally on the river headed West to Astoria. 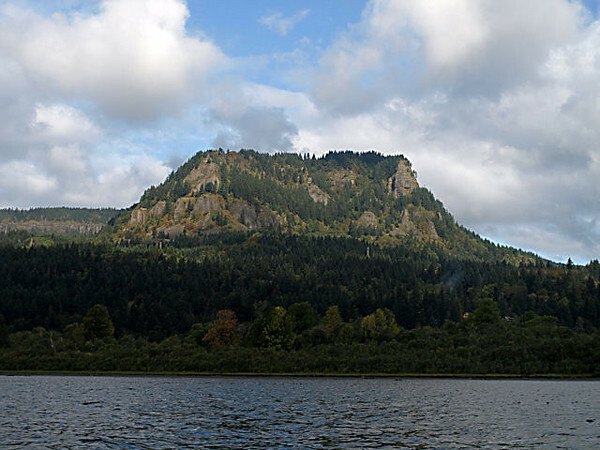 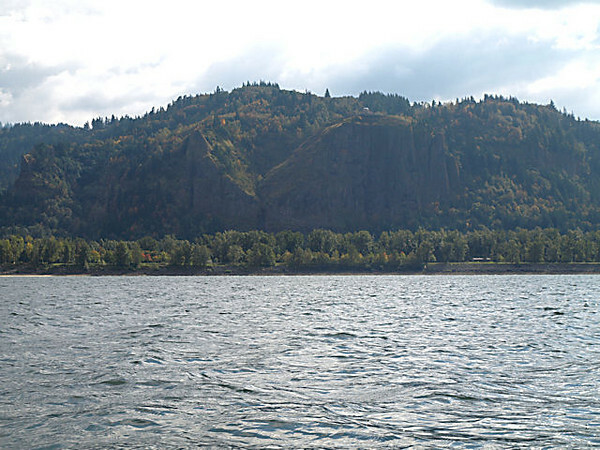 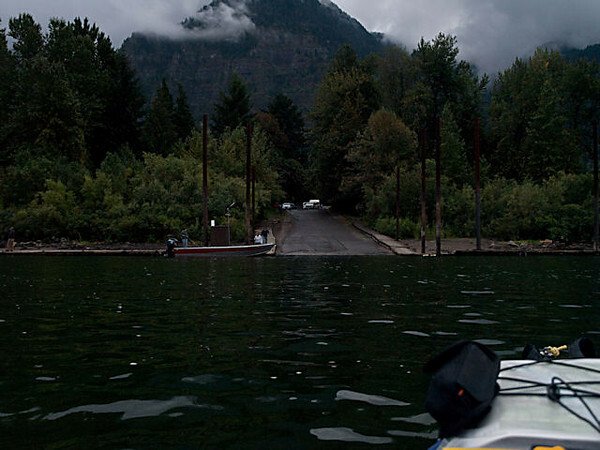 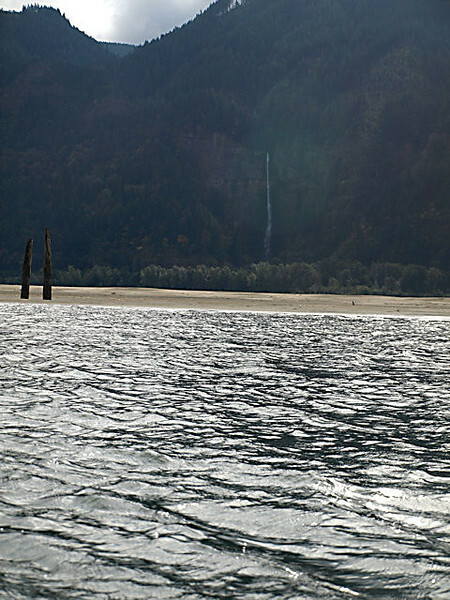 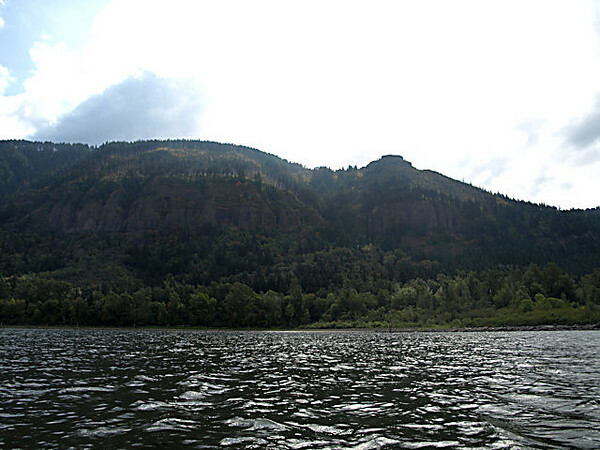 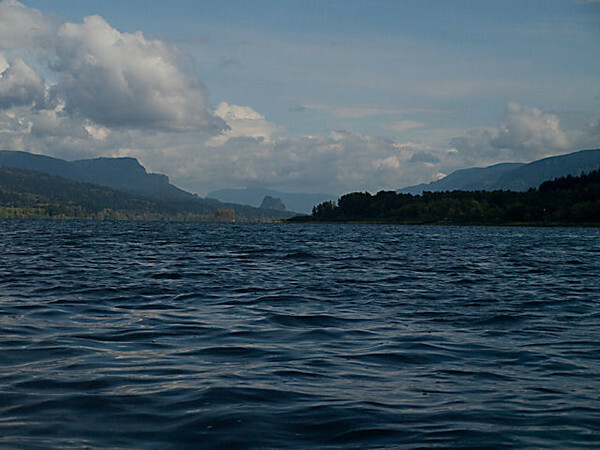 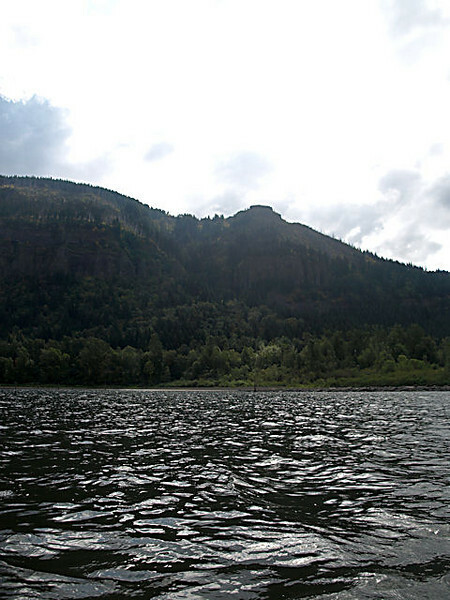 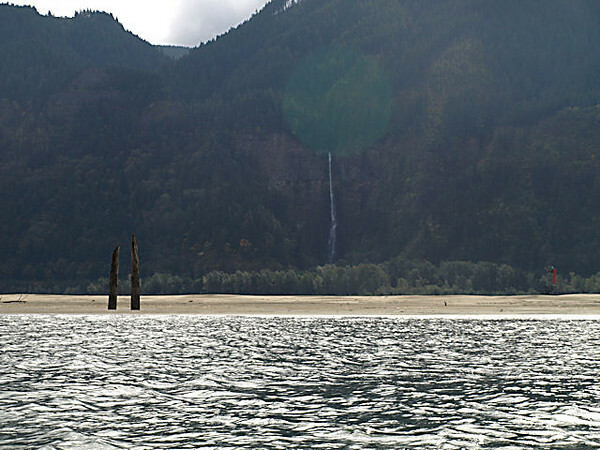 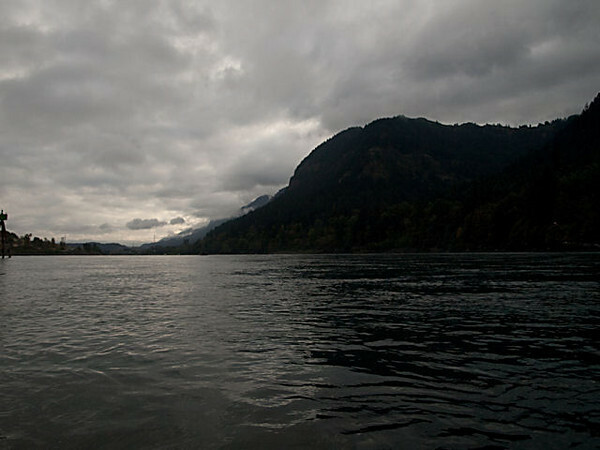 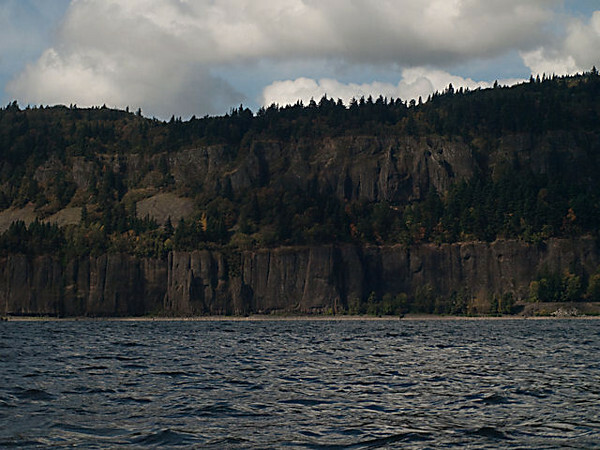 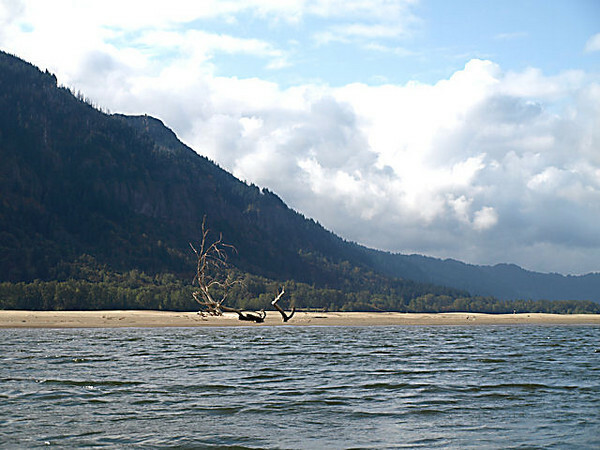 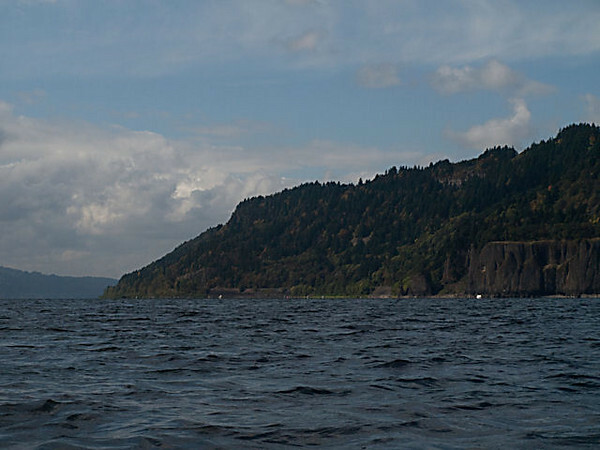 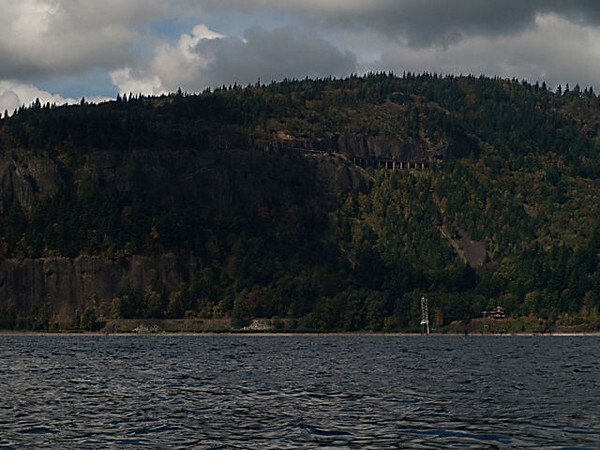 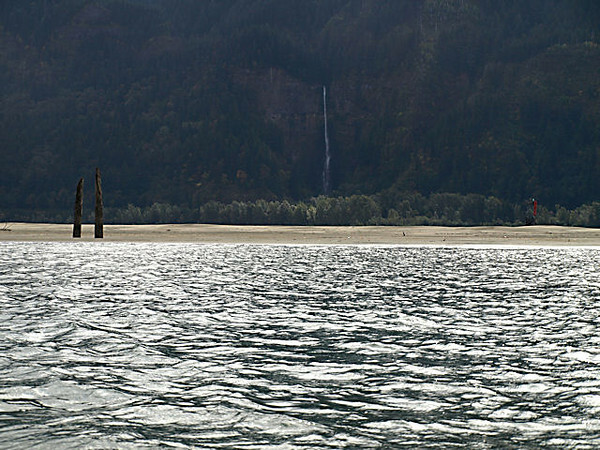 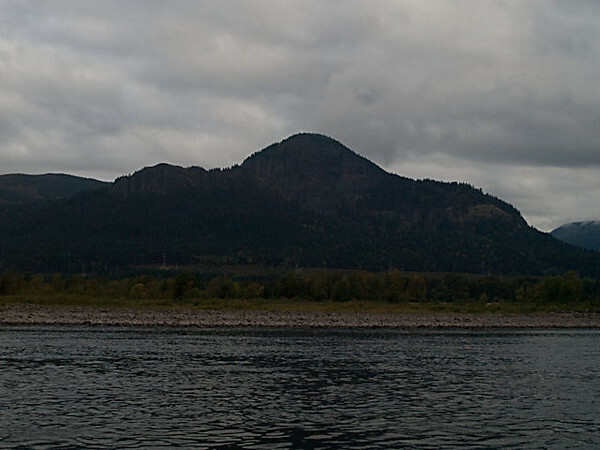 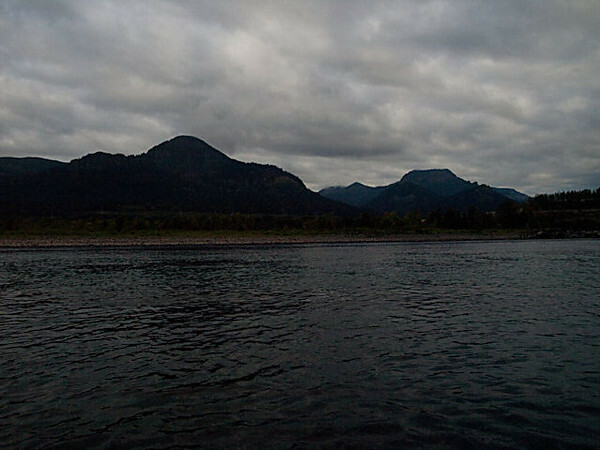 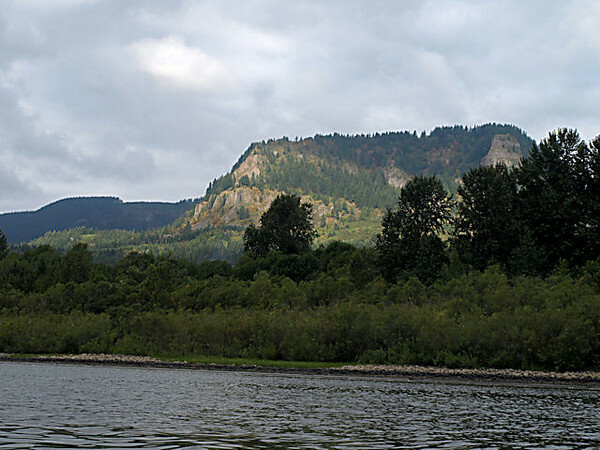 Beacon Rock from the Columbia River. 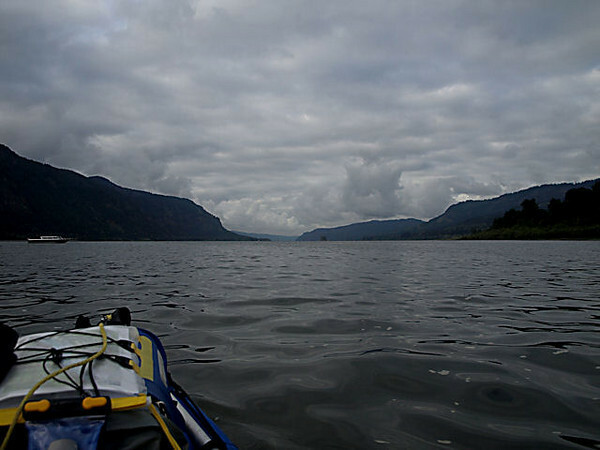 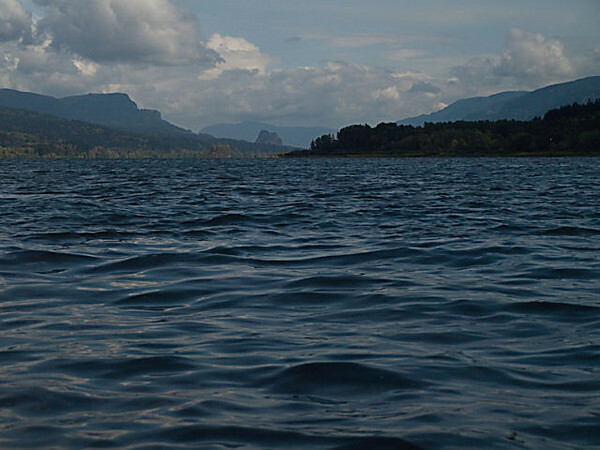 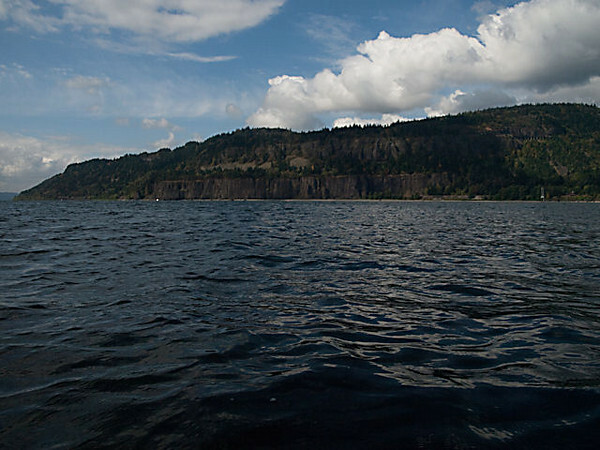 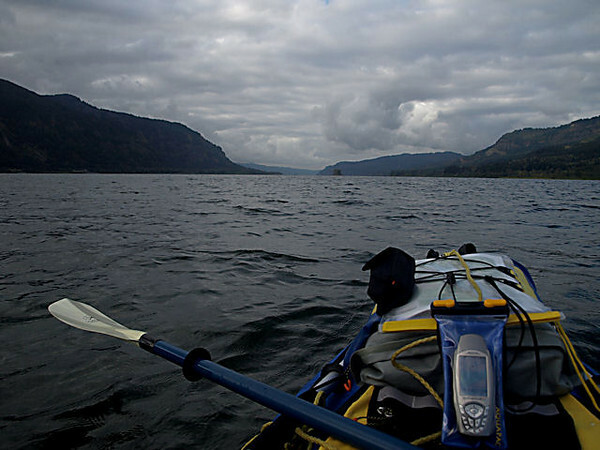 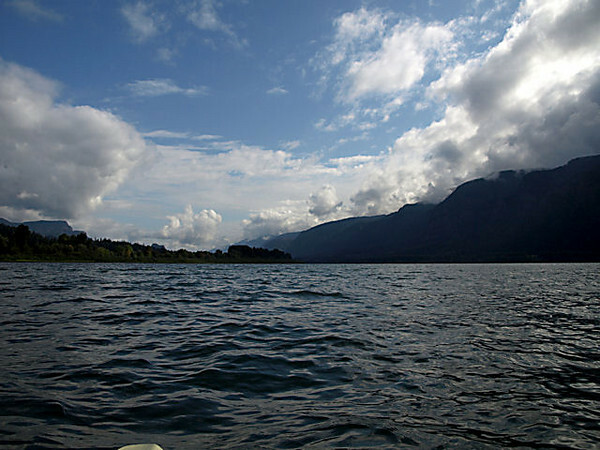 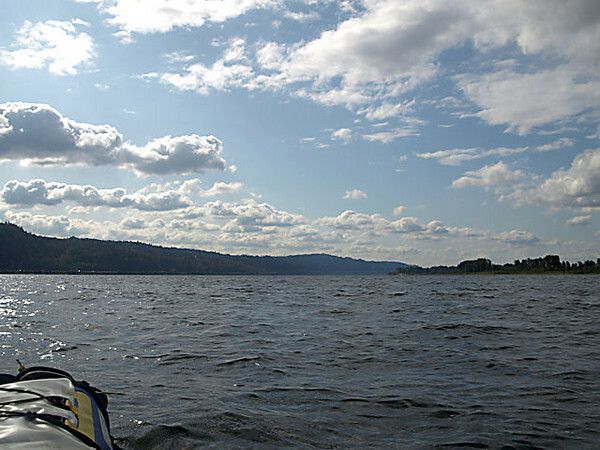 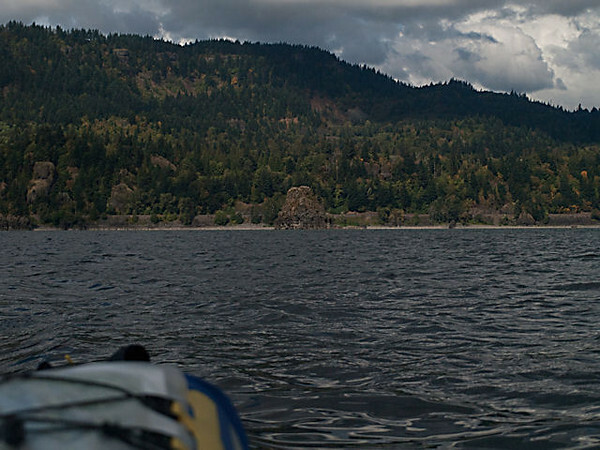 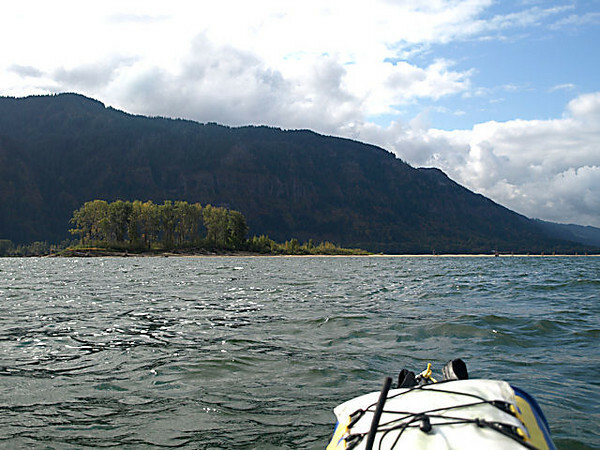 A view down the Columbia River.